I once saw o.blaat perform seated with her laptop in the back of a club, connected to the stage by a string of lights, like an umbilical cord she was holding on to while at the same time eager to break. The confused audience was looking at an empty stage oblivious to the performer in the back. With our experience of music being more and more mediated it seems normal that the live physical presence of the performer is being questioned by musicians like o.blaat. How can one reconcile the live presence of musicians with acousmatic music, now so easily downloadable whenever and wherever you are? 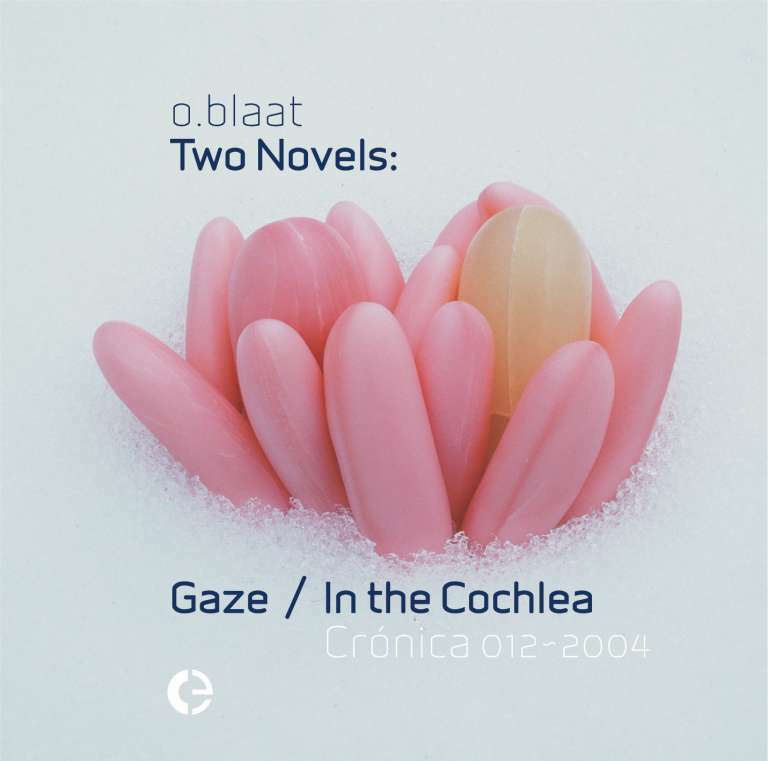 For this CD o.blaat interfaces with some of her regular collaborators such as Kaffe Matthews, Toshio Kajiwara, dj Olive, Eyvind Kang, Ikue Mori, Aki Onda & Akio Mokuno. The second half of the CD is designed for headphones listening, like a scientist looking through a microscope. It reveals soundscapes full of minutiae and electric movements. o.blaat’s shoe tapping has now morphed into light keyboard clicks, subtle and precise. the recordings at Harvestworks were made possible by Harvestworks Digital Media Arts Center‘s 2000-2001 Van Lier Foundation fellowship for Electronic Composers.